Kim’s troubles are a sign of just how much Fiat Chrysler Automobiles NV’s American experiment with stylish Italian microcars has failed to live up to expectations. Fiat brand sales in the U.S. peaked at about 46,000 in 2014, with the addition of the roomier 500L, and have been in free fall ever since. They were down 45 percent year-over-year in the first quarter of 2019, after a 41 percent plunge last year to 15,521, the lowest level since the brand’s reintroduction to the U.S. in 2011. Officially pulling the plug would be a costly exercise for the automaker, since franchise laws dictate that it would have to buy back inventory from dealers to terminate the brand, Haig says. Fiat Chrysler declined to comment for this article. Fiat Chrysler offers four models in North America: the Fiat 500, 500X, 500L, and the 124 Spider, and it’s coming out with a 2019 500X with an all new turbo-charged engine and a special edition of the Spider this spring. The company’s five-year strategic plan calls for trimming the Fiat lineup to focus on premium models and a fully electric family of cars designed around the 1950’s-inspired Fiat 500. People familiar with the plan said the company would focus the brand on Europe, Brazil, and emerging markets, implying a potential withdrawal from the U.S. and also China, where the small cars have failed to gain traction. Fiat’s China website still shows three models, though a dealer at Beijing Changyi Auto Sales and Service Co. said the cars haven’t been available in Beijing for some time, while another at Zhongshan Zhongmeichang Auto Service Co. in Guangdong said she’d been told by Fiat Chrysler that the brand was withdrawing from China. Today, there are only six standalone Fiat stores left in the U.S., compared with 30 when the brand was reestablished there. The remaining 377 Fiat franchises are attached to Chrysler Dodge Jeep Ram dealerships or Alfa Romeo stores, the result of a 2016 consolidation to help dealers cut costs and boost sales. Bill Golling, who owns two Fiat franchises outside Detroit, said the brand is the victim of cheap gas prices more than anything else, something that’s afflicted the entire U.S. small-car segment. Fiat Chrysler’s marketing budget for the brand is “on pause,” he says. 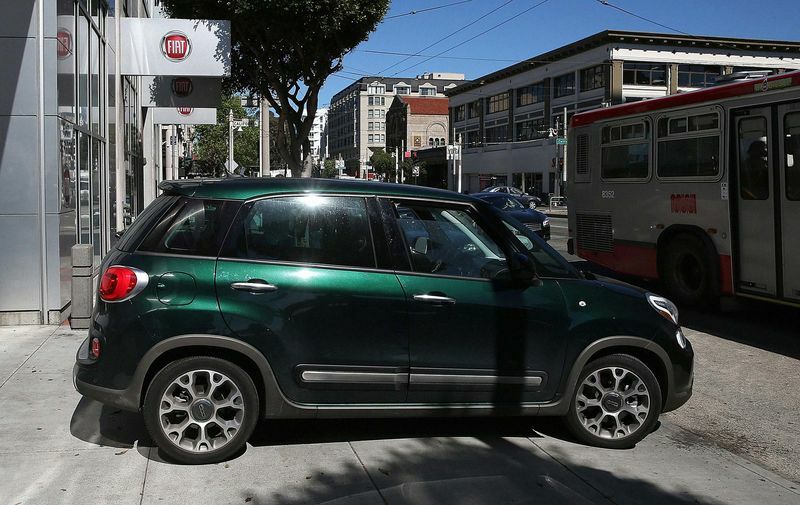 “If gas was $6 a gallon, we’d be brilliant having Fiat here,” he says. BOTTOM LINE - In 2011, Fiat had high hopes for its microcars in the U.S. Today, SUVs, trucks, and vans make up 70 percent of U.S. new vehicle sales, leaving Fiat in the slow lane.